Becoming a top legal adviser requires firms to go beyond giving solid legal advice and ensure timely completion of tasks. Clients expect law firms to provide practical solutions, be attentive and proactive, and be able to anticipate their needs and add value to their business. While all law firms in our list of 2018’s Philippines Law Firms of the Year have thorough knowledge of the law and are keen dealmakers, some definitely set the bar higher with their outstanding opinions, professionalism and ability to deliver beyond the expectations of their clients. The Philippines legal market is a competitive one, and while there are big-name law firms that bring in business because of their reputation, there are also a number of up and coming firms that have earned their spot purely on the merit of their counsel. We present to you Asia Business Law Journal’s 2018 Philippines Law Firm awards. We have identified one law firm of the year and four winners each in 20 practice areas. We have also identified the best new law firm. Manila-based Sycip Salazar Hernandez & Gatmaitan (SyCipLaw) is one of the most recognizable names in the Philippines’ corporate legal market. SyCipLaw has had a wonderful year, having worked on headline-grabbing deals such as Singaporean taxing hailing app Grab’s acquisition of US peer Uber’s Southeast Asian business in a deal worth approximately US$1.6 billion. The firm also worked on the largest ever renewable sector deal, Global Infrastructures Partners’ (GIP) US$5 billion acquisition of Singapore’s Equis. SyCipLaw was also the adviser to Union Bank of the Philippines’ rights offering of up to 200 million common shares with an offer size of PHP10 billion (US$190 million). The Grab-Uber deal, the largest deal of its kind in Southeast Asia, was a landmark case from a competition and antitrust perspective as it was the only transaction subjected to a motu proprio review (a case taken for review without notifications from either of the parties) by the Philippine Competition Commission (PCC). SyCipLaw in co-ordination with Grab developed voluntary commitments that the PCC accepted through the issuance of its commitment decision. SyCipLaw also worked in what might well be the only successful Philippines initial public offering of the year – property developer DM Wenceslao’s US$154 million offering in June 2018. The firm’s attentiveness to its clients and responsiveness was lauded by respondents to our survey. “SyCipLaw lawyers are very responsive to our concerns, and are good not only in identifying problem areas, but more importantly, in providing solutions,” says Joan A De Venecia-Fabul, general counsel, Philex Mining Corporation. “They also flag to us possible issues even before they become full-blown disputes, helping prevent them from happening, as for instance, in our union issues.” Philex had hired SyCipLaw for advice on labour and employment issues. Christine M Joy Licup, also of PNB, says the SyCipLaw team showed expertise in conducting due diligence, especially for complicated deal structures, “giving valuable advice on how we can protect ourselves as a bank”. “The team always attend our closing calls to make sure everything is in place. Even if one member of the team is outside the country (and hence, with a time difference), they make sure that they all attend the closing call,” says Licup. The seven-decades-old firm, led by managing partner Hector M De Leon Jr, adopted its pro-bono guidelines a year ago, formalizing the firm’s commitment to provide legal services to worthy causes or to deserving persons of limited means. Started in 2017, Insights is already making ripples in the Philippines corporate legal market. It has built a reputation and earned the trust of both domestic businesses and international law firms. 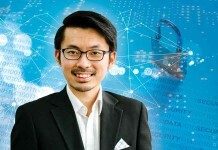 Founded by Felix Sy, Insights has a strong presence in the corporate and commercial, and banking finance practices. It is a member of ZICO Law, a network of independent local law firms with a full presence in all 10 ASEAN countries. “The lawyers of Insights Philippines Legal Advisors are all very professional,” says Qing Yang, a partner at Zhonghao Law Firm in China. Despite the intense competition, AccraLaw had an impressive run in 2018, expanding to 164 lawyers, which made it the biggest firm in the country. AccraLaw has made its mark representing some of Philippine’s largest companies, including San Miguel, PLDT, Procter & Gamble, Pilipinas Shell Petroleum Corporation and the country’s central bank, Bangko Sentral ng Pilipinas (BSP). AccraLaw advised PLDT, the country’s largest telecommunications company, in relation to a petition filed against the PCC with regard to PLDT and Globe Telecom’s acquisition of San Miguel Corp’s telecoms unit. This was a case of first impression in the Philippines, where the courts examined the PCC’s powers and authority to review a deal that complied with its validly issued transitory rules. BDO Unibank’s US$2 billion medium-term note programme was another notable deal that AccraLaw took on this year. The firm advised the joint lead managers, Hongkong Shanghai Banking Corp, Bank of America Merrill Lynch and Wells Fargo Securities, in connection with US$700 million in senior notes issued by BDO Unibank. “AccraLaw has provided IP services for San Miguel Corporation and its subsidiaries for many years and we are very happy with their services and expertise,” says Majalla Baun of San Miguel Corporation. “They are always accessible and provide complete and appropriate advice in a timely manner. Picazo Buyco Tan Fider and Santos may be best known for their capital markets practice, however it has made significant strides in other practice areas and made quite a name for itself, led by managing partner Alex Erlito Fider and four named partners. The firm is held in high regard by its clients, and also by its peers. Picazo was among the most recommended by other law firms in a number of practice areas, especially capital markets, mergers and acquisitions, private equity and venture capital, as well as banking and finance, and real estate. “Picazo is among the top firms that many of the domestic issuers go to because of the quality of their output and advice, relatively quick turnaround, and the dedication of their lawyers,” says Juan Paulo Colet, director & general counsel at China Bank Capital Corporation. A highly regarded full-service law firm in the Philippines, Romulo Mabanta Buenaventura Sayoc & de los Angeles is one of the go-to firms for both domestic and international clients in the country. They have built a solid reputation across practice areas including M&A, capital markets, private equity and venture funding, and real estate. Ocampo Manalo Bernabe Valdez & Lim (O&M) has built an enviable roster of aviation clients. It boasts both domestic and international airlines as clients, many of which are household names across the region. The firm has provided advice on regulatory matters and assisted in the organization and reorganization of international carriers such as AirAsia, Xiamen Airlines, Sichuan Airlines, Hong Kong Airlines, Juneyao Airlines, Jeju Air, Air Seoul, OK Air, Tianjin Airlines, Hainan Air and Tigerair Taiwan, as well as domestic carriers such as Philippines AirAsia, Air Swift, Phoenix Petroleum and Pacific Global One. The firm also advised maintenance repair and overhaul operator Macro Asia for its ecozone status at the Cebu Mactan Airport area. China’s Xiamen Airlines uses O&M as their general legal consultant, and are satisfied with their expertise and services, says Qiao Dan, senior legal counsel at Xiamen Airlines. 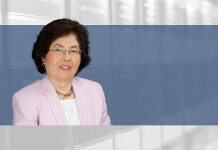 “They are not only the experts of aviation law, but also have rich practical experience to provide tailored legal solutions,” says Qiao, adding that O&M assisted Xiamen Airlines in the preparation and attendance of Philippines Senate Hearings, and their expertise and services exceeded expectations. A 22-year old firm offering a full suite of legal services with 12 partners and 24 lawyers, Platon Martnez Flores San Pedro Leaño has built a reputation among its peers for its strong aviation practice. While it advises several large domestic and international businesses, its aviation client list is impressive, with the likes of Air France, Swiss Air, China Airlines, Eva Airways, KLM Royal Dutch Airlines, Korean Airlines, Malaysia Airlines among others relying on the firm for legal counsel. Quisumbing Torres, a member firm of Baker & McKenzie International (a Swiss verein), headed by Ramon J Quisumbig, has built a reputation across practice areas, however its aviation practice is highly respected by clients and other law firms. It has advised both airlines and aircraft leasing companies. Notable deals for the firm in the sector include: representing a leading US carrier in connection with its operations in the Philippines, including obtaining a foreign air carrier’s permit from the Civil Aeronautics Board; and obtaining a validation of air operator certificate from the Civil Aviation Authority of the Philippines (CAAP). The firm has also represented several aircraft leasing companies in disputes with airlines and CAAP. Dime & Eviota has had a busy year including moving into new offices, a former art gallery in Makati City, and making an effort to move away from paper in a purely digital office. It has also renewed its commitment to its international affiliate, Wajdi Mohamad Yusri & Co of Malaysia, with whom it has decided to form an association of law firms in Asia. The law firm and its founders, Ronald Dime and Edward Albert Eviota, come highly recommended by clients who say they are “proactive” in providing companies with “much-needed direction in navigating the Philippine laws”. Morales & Justiniano was founded by Rafael A Morales, former head of the banking and finance practice group of SyCipLaw, who has made a mark as a strong player in banking and finance. Although a full-service firm, it has built on the pedigree and experience of its managing partner and made a name for itself in the banking and finance practice. The primary capital markets in the Philippines were shut for the most part for the year, except for one successful initial public offering (IPO) in June. The secondary market has seen a number of deals, and some pretty large ones too. Some of the most notable of them include: Bank of the Philippine Islands’ US$2 billion Medium Term Note Programme and US$943 million rights offering, Metropolitan Bank & Trust’s US$1.1 billion rights offering; Robinson Land’s US$377 million offering of rights; and Rizal Commercial Banking Corporation (RCBC) US$283 million rights offering. Gatmaytan Yap Patacsil Gutierrez & Protacio (C&G Law) is among the fastest growing mid-sized firms in the Philippines, adding five new partners in the past year to take the number of partners to 12 and a total of 40 lawyers. A member firm of Singapore’s Rajah & Tann Asia, Southeast Asia’s largest legal network, the firm has represented top-flight clients such as Ayala Land, a leading property developer, and pharmaceutical behemoth Sanofi-Aventis Philippines, among others. One of the most notable deals for the firm was the merger of the main Cebu subsidiaries of Ayala Land, a subsidiary of Ayala Corporation (AC), which is one of the Philippines’ largest and most diversified conglomerates. The US$470 million merger of the listed entities also required a nod from the PCC. 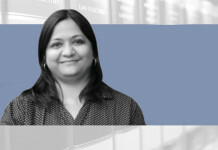 “C&G Law’s responses are simple, comprehensive and understandable to non-lawyers like us, which shows their expertise in the topics we are asking opinion on,” says Gladys Solidum, head of tax and compliance at Sanofi-Aventis. “Their opinions and the delivery of the service always stand out. In a number of instances, we seek a second opinion from them if we are not satisfied with the opinion provided by our other tax adviser, and we end up working with them up to the completion of the project,” she says. The 37-year-old Manila-based law firm Castillo Laman Tan Pantaleon & San Jose has nearly 50 lawyers and has made a name for itself in select practice areas such as corporate, litigation, intellectual property, taxation and employment. “Castillo is on top of my list [of law firms] given their edge in quality of output, attention to the client, and value delivered,” says China Bank Capital’s Colet. Martinez Vergara Gonzalez & Serrano is a full-service law firm with about 32 lawyers, including 10 partners, and has grown a reputation for its corporate practice, especially with a focus on banking and corporate finance services. Cruz Marcelo & Tenefrancia (CMT) has been on the upswing this year, having added 19 new lawyers and four partners through promotions. Led by the country’s former secretary of national defence, Avelino J Cruz Jr, and former ombudsman and solicitor-general, Simeon V Marcelo, it has carved a name for itself in litigation and dispute resolution, having represented a number of top clients including BSP and the Monetary Board, the country’s central monetary authority. It has also earned a reputation for its intellectual property, energy and infrastructure practices. 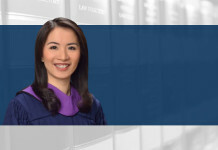 Poblador Bautista & Reyes is reputed to be among the top litigation firms in the Philippines. It focuses on civil, commercial, administrative and criminal litigation as well as real estate, intellectual property, securities and finance, insurance, employment, and immigration. Founded by the incumbent Senior Associate Justice and acting Chief Justice of the Supreme Court of the Philippines, Antonio Carpio, Villaraza & Angangco (V&A) has made a name for itself as a top litigation firm. The firm has about 57 lawyers including 19 partners. Founded in 1980, V&A is a full-service law firm with specialization in areas of litigation, corporate and intellectual property law. 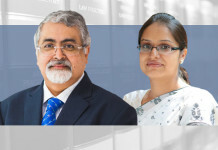 One significant case handled by V&A includes representing RCBC against the unprecedented cyber-heist on the Central Bank of Bangladesh, where approximately US$81 million was remitted to one of its branches through payment instructions given by the Federal Bank of New York. This exposed RCBC to investigations by the Senate, AMLC and BSP. V&A led the defence of RCBC’s board in an administrative proceeding before the BSP, resulting in an institutional fine to RCBC, while its officers and board were absolved from liability. V&A is also handling the defence of various officers of RCBC in a criminal complaint with the Department of Justice, and is undertaking the criminal prosecution of certain employees of RCBC. Siguion Reyna Montecillo & Ongsiako is among the oldest law firms in the Philippines, having been in business for more than a century. With more than 45 lawyers, it is a full-service firm and has a client roster that includes domestic conglomerates and Fortune 500 multinationals. DivinaLaw, a full-service firm, has made a name for itself in just over a decade since its establishment. With more than 50 lawyers in two offices (Manila and Cebu) it is highly rated among both domestic and international clients. 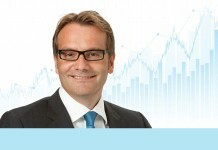 In the past year it has added four lawyers to boost its tax, banking and finance, immigration and corporate practices. DivinaLaw has adopted a four days per week work scheme intended to boost productivity and well-being of its employees. More than two decades old, Puyat Jacinto & Santos Law Offices (PJS) is a full-service firm with nearly 50 lawyers that has an exceptional reputation for its energy and infrastructure and banking and finance practices. Frank Thiel, managing director of Quezon Power, believes PJS Law is without question one of the top law firms in the Philippines for its work in energy, projects and infrastructure. “Quite happy with the expertise and services provided by PJS,” says Thiel, noting their “knowledge of the subject matter” and “customer focus”. Founded in 1984 by Ricardo Puno Sr, a former minister of justice in the Philippines, Puno & Puno provides advisory across practice areas. However, it is among the most respected firms in the energy, infrastructure and utilities practice, which is led by its managing partner, Roderico V Puno. Fortun Narvasa & Salazar (FNS), which is celebrating 25 years in business, is widely acknowledged for its expertise in the mining and energy sectors. It has an impressive roster of global and domestic clients, across practice areas. Ian R Holzberger executive chairman of Metals Exploration, recommends FNS “unreservedly” as a top law firm in the energy, projects and infrastructure space. Among the notable cases it handled was acquittals of a sitting senator and senior officials of regulatory agencies in accusations of graft and corrupt practices before the Sandiganbayan (anti-graft court), and the dismissal of various graft cases against a local mayor before the ombudsman. “The firm not only understands the law but the business of mining as well, which enables it to provide practical legal advice,” says Norman Tiongson, counsel at Philippine Gold Processing and Resources Corporation. This year, the firm has expanded with seven new lawyers and created a new arm specializing in patent protection and commercialization. Del Rosario & Del Rosario, a four-decades-old firm, is considered to be among the top shipping and maritime practices in the country. It has also built a formidable reputation in insurance and reinsurance, and has more than 30 lawyers, including 10 partners. Bengzon Negre Untalan (BNU) is among a crop of IP-focused law firms that have made a mark. It has an impressive list of clients that include technology companies like Apple and Autodesk, and pharmaceutical giants such as Abbott, AstraZeneca, Novartis, as well as food and beverage companies including Ajinomoto, Nestle Philippines and San Miguel, among others. Federis & Associates is a boutique IP-focused firm that has built a reputation for IP enforcement and won the confidence of several large companies. Among its notable work this year was close co-ordination with the Bureau of Customs to secure the seizure and destruction of many counterfeit goods including well-known brands such as Nivea and Kylie Cosmetics. Baranda & Associates is another of the specialist intellectual property firms that has earned a name across IP service areas, from registration to commercialization and enforcement. The firm is led by Edmund Jason Baranda and has a small team comprising one other partner, two associates and three paralegals. Hechenova & Co’s IP practice constitutes about 70% of its entire practice, and is deservedly among the most respected in the country. It has represented both large multinational companies such as Honda, Panasonic, and Brazilian footwear maker Alpargatas as well as domestic clients including the Philippine government’s Department of Science and Technology, and its Technology Application and Promotion Institute. “We are very happy with the services and expertise provided by Hechanova,” says Luiza Duarte, a partner at Brazilian IP law firm Murta Goyanes. Duarte lauds Editha Hechanova, president of the firm, for being proactive and always suggesting new enforcement actions, and for understanding the client’s business and goals with each case. Last year, Hechenova & Co added three new senior lawyers in the areas of trademarks and patents. M&A is one of the key practice areas for most corporate law firms, and as might be expected it is the biggest names that have made it to the list. There were some large deals in the region, such as the Philippines-based San Miguel Corp’s acquisition of power generation company Masin-AES for US$2 billion from US -listed AES Corporation. There were also large Southeast Asian deals, such as the Grab-Uber merger and GIP-Equis deal, which required significant Philippines-based work and kept dealmakers busy in 2018. Du-Baladad and Associates (BDB Law) is best known for its taxation practice, but has over the years built a strong M&A and private equity/venture capital practice. It has three partners, led by managing partner and CEO Benedicta Du-Baladad, along with seven associates and four tax specialists. Coming up with a list of the best four real estate practitioners was a tough task as many firms were in the running, with most of the large firms getting a similar number of votes both from competing law firms and in-house counsel nominations. The decision was eventually taken after a close evaluation of their past deals and assessment of comments from their clients. Gulapa Law, founded by former C&G Law partner Aris L Gulapa in 2015, has offices in Manila and New York. What sets this firm apart is that it provides Philippine companies with advice on the US through its New York-based affiliate, Gulapa & Baclay. The founder worked in Manila, Vietnam, Singapore, Tokyo and New York before setting out on his own, and now also gives counsel to clients on doing business in the ASEAN region. Villanueva Gabionza Dy Law Offices, led by its founding partners Cesar L Villanueva and Santiago T Gabionza, provides the full suite of legal services. Its restructuring, refinancing and insolvency practices has earned the respect and admiration of its peers, who voted the firm as among the country’s top restructuring and insolvency practitioners. Founded in 1980 by Beda G Fajardo, Fajardo Law Offices has a long history in shipping and maritime law, and has been for decades among the most respected law firms in these practice areas. The firm is the only Philippine member of the Maritime Law Association of the US, and is also a member of the Comite Maritime International. However, it has also evolved into a full-service law firm over the years. Ortega Bacorro Odulio Calma & Carbonell, which started as Pillsbury & Sutro in 1901, has illustrious alumni including former Philippines president, Diosdado Pangan Macapagal, and Ricardo Paras, former chief justice of the Supreme Court. Although a provider of legal advice in diverse practice areas, Ortega Bacorro Odulio Calma & Carbonell is best known for its maritime law expertise. It also acts as legal adviser to the embassies of the US, UK, Germany, Sweden and Greece in the Philippines. Abuda Asis & Associates provides a full suite of corporate law services but specializes in banking and finance. Just over a decade old, it is widely acknowledged by its peers to be one of the most formidable banking and finance law firms in the country. It has three partners, including founders Cornelio B Abuda and Genaro Jehremiah Wilfred C Asis, and six associates. Baniqued Layug & Bello is acclaimed to be among the top taxation firms in the country – both clients and other law firms consider them to be among the best in the business. The 20-year-old firm founded by managing partner Carlos G Baniqued has 15 lawyers and is primarily focused on taxation. Its client list includes some of the biggest domestic and international companies. Salvador Llanillo & Bernardo (SLB) is a taxation-focused law firm with nearly 40 lawyers, which has earned the respect of its peers. Managing partner Serafin U Salvador Jr was previously the head of taxation at SGV & Co. The firm was formerly a member firm of Arthur Andersen, and is currently a practice member of EY. SLB is also the first law firm in the Philippines to have a dedicated transfer pricing team. Gorriceta Africa Cauton & Saavedra is a full-service law firm that has created a name for its taxation practice, along with other practice areas such as banking and finance, restructuring and insolvency, and capital markets. The firm has about 25 lawyers, led by managing partner Mark S Gorriceta. Disini & Disini is the top technology, media and telecoms law firm in the Philippines, as was evident from the large number of votes it received from its peers. While it is a full-service firm, its true strength lies in its expertise in the emerging practice areas of technology, e-commerce, cyber-space law, and emerging media such as social networks, peer-to-peer media, online advertising, and e-learning. Apart from the founding partners, JJ Disini and Rowena Disini, it has one junior partner and 12 lawyers. 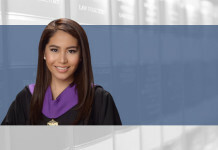 Belo Gozon Elma Parel Asuncion & Lucila is a quarter of a century old, has 10 partners and is a full-service firm that has built a name for its expertise in telecoms, aviation and maritime law. It has a strong mass media practice that boasts the top print, TV and radio networks in the country, including Philippine Daily Inquirer, GMA Network, Time Life International, and Progressive Broadcasting Corporation. Zamora Poblador Vasquez & Bretaña is based in Makati City, and is a full-service law firm founded in 1993 by Ronaldo B Zamora, a former member of the House of Representatives of the Philippine Congress and executive secretary to former president Joseph Estrada. Napoleon J Poblador and Bellaflor Angara-Castillo, also a member of the House of Representatives, are also founder partners. The firm has 12 lawyers including five junior partners. The winners of Asia Business Law Journal’s Philippines Law Firm Awards were selected based on votes, references and qualitative information received from in-house counsel and other legal professionals in the Philippines and around the world. A voting form was posted on our website and thousands of in-house counsel, lawyers at international law firms and other Philippines-focused professionals were invited to vote. At the same time, Philippine law firms were asked to make submissions in support of their candidacy for awards. These submissions, combined with research by Asia Business Law Journal’s editorial team, played a supporting role in the judging process. All Philippines law firms were automatically eligible for inclusion in the awards process. As always, there were no entry fees or any other requirements for entry.